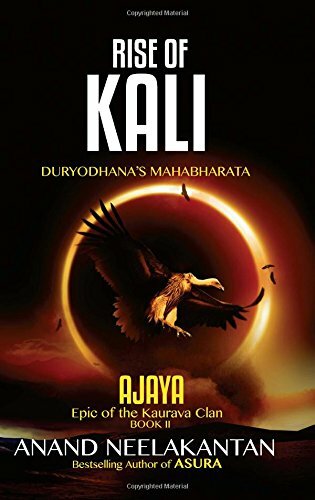 Here’s an in-depth interview with the author of Asura, Ajaya and the soon to release the sequel to Ajaya, called Rise of Kali. 1. What does AJAY signify in the title of the book? 2. After all your writing and research, what is your final opinion on Duryodhana as a man and a leader? Suyodhana was a man far ahead of times. He had his flaws, he trusted his friends too much and took unneccessary risks, was more sincere to Karna than Karna was to him and was passionate to the core. He believed in certain ideals, was sometimes naive and sometimes arrogant, but he never tried to justify his deed behind the cloak of dharma. He was a rebel, far ahead of his times and he paid the price. 3. Did the Kurukshetra war have any winners? What did it achieve? Can it be justified? I think sage Vyasa gave the named his epic, “Jaya” to bring out the irony. There were no winners for the war. If the war was the victory of good for evil, after the war the evil age should not have started. This reasoning that it was fought for restoration of dharma fails, when we see that it is the age of Adharma that had risen after the war. So what was the purpose of war, as Balarama asks? 4. Was Draupadi perhaps the greatest victim in the Mahabharata? Draupadi, like many other women and children, was also a victim of the war. All the women of Mahabharata are victims, trampled by a masculine world. Gandhari who lost all her sons, Kunti who lost all her grandsons and a son, Draupadi who lost all her sons, the Nishada woman who lost her life and all her sons, Hidumbi who lost her son, Uthara who lost her husband, Bhanumathi who lost both her husband and son- the list is endless. There is no justification in singling out Draupadi. 5. How do you explain Gandhari’s 100 sons and 1 daughter? The ratio is perplexing. The entire Kuru race has 106 sons (including the Yuyutsu, the Vysya son of Dhritarashtra) and 1 daughter and may be Lakshmana is the only another woman in the household. Or may be all the 100s are not sons of Gandhari, but perhaps sons of Dhritarashtra (there are many other sons mentioned in some texts) and the daughters are not mentiones with the same importance as Dushala (Sushala) since they are not from the Royal womb of Gandhari. We do not know and we can only speculate. As I said, it was a man’s world, not much different from now, where only lip service is given to the divinity of women. 6. 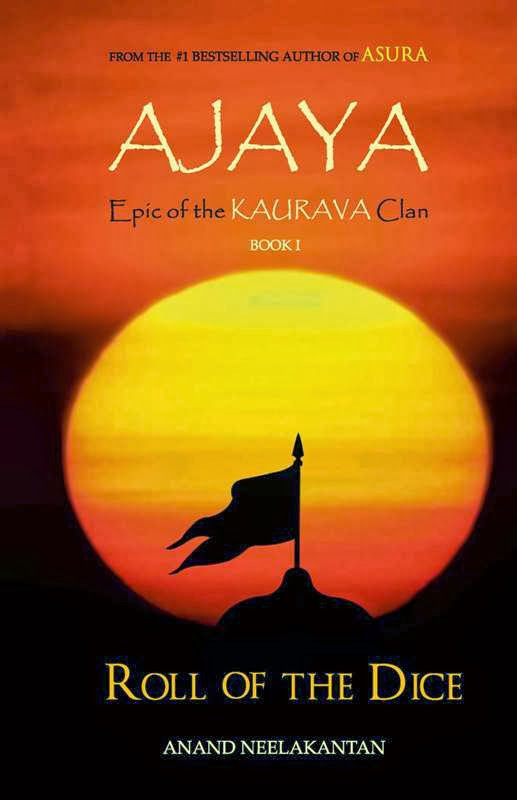 Did any Kaurava survive the war? 7. Do you feel a sense of catharsis having finished the book? 9.What do you think made Leadstart take your book when other Publishers had not? Leadstart took the book when not many were willing to publish mythology books. They saw the potential in Asura when others did not. 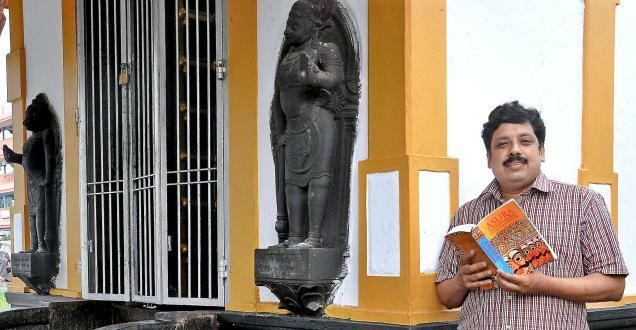 Asura was an unusual book in the sense that it went against the conventional way of writing mythology. It is a disturbing book, not offensive, but something that would challenge the long held belief and give voice to the sceptic inside the reader. Not many publishers would take that risk. 10. How did you think of this concept? What got you inspired? This was something that I have grown up with and I write about things that disturbs me most. The other side, hidden in the shadows, is always exciting to explore. 11. What do you think about writing as a profession in India? Writing as a profession is yet to come of age in India. Except a few authors who have made it really big, it is difficult to earn a living out of writing. Despite spectacular success of Asura and Ajaya, I am yet to resign my job. There are many like me with a string of best sellers who still work for a living or are businessmen. Except Chetan Bhagat, Amish or one or two others, if we take the top 10 writers of the country, most of us are either businessmen or employees. There is a long way to go for us to see Indian writers owning private jets and mansions like what they do in the west. But apart from money, writing gives a lot of satisfaction which no other profession can. Writing in India, can be a rewarding hobby, at best and not a profession. 12. Any message you would want to give to your readers? Looking forward to Rise of Kali! I am sure it will be a great read. This entry was posted in Anand Neelkantan, Interview, Leadstart Publishing and tagged anand neelkantan, asura, Dhritarashtra, draupadi, duryodhana, Fiction, kauravas, leadstart, mahabharata, mythology, pandavas, Ram, Readers, Siya ke Ram, Writers on August 2, 2015 by thehungryreader.